First class treatment and flying private are no longer experiences exclusive to the elite. 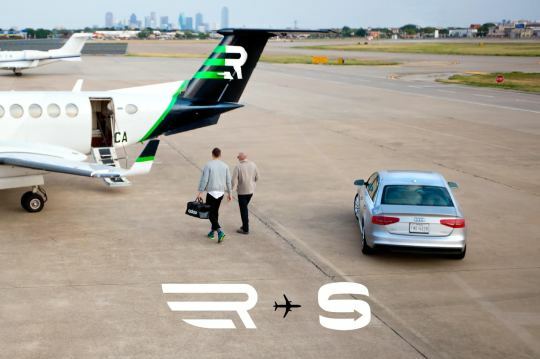 Rise, Dallas based Private-flight Sharing company, is making long lines, jam packed seats and the general frustration of flying a thing of the past by upgrading all of its members to the swanky confines of a private jet. Founded by entrepreneur Nick Kennedy, Rise offers memberships beginning at $1,650 per month for unlimited flights between the Texas trifecta of Dallas (DAL), Houston (HOU) and Austin (AUS). All flights take place on eight-seat Beechcraft King Air planes. The personalized service is remarkable. The cabins are spacious and quiet, but the biggest perk is the time-saved which is incurred both “pre” and post-flight. That saved time is derived from little amenities like arriving directly at the private flight terminal, no waiting in lines and a ‘blink and you’ll miss it,’ five-minutes from boarding to being in the air. And, because they are so very awesome, they’re offering Silvercar members a special introductory discount (50% off) the $750 initiation fee required to become a Rise member. This rate exclusive to Silvercar renters is available through September 30th and is redeemable by entering your Silvercar membership number upon applying for membership. For more information on Rise, please visit https://www.iflyrise.com.